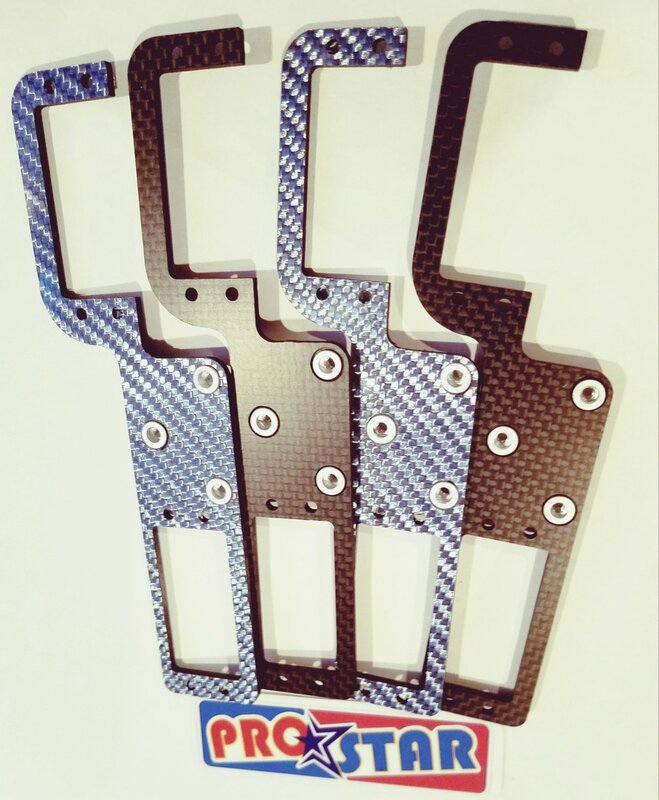 Our Blue and Black carbon Fiber tray has been designed and strengthened in key areas prone to breaking. we have excluded the servo mount "slots" for stronger servo "holes" and eliminated a mounting hole that is not needed . We have added additional material and streamlined the design to make a better looking and stronger servo tray than stock. We also added threaded transponder mounts integrated into the tray itself so no other hardware or transponder mounts are needed.